Martha’s Vineyard may not be commonly regarded as a basketball mecca. 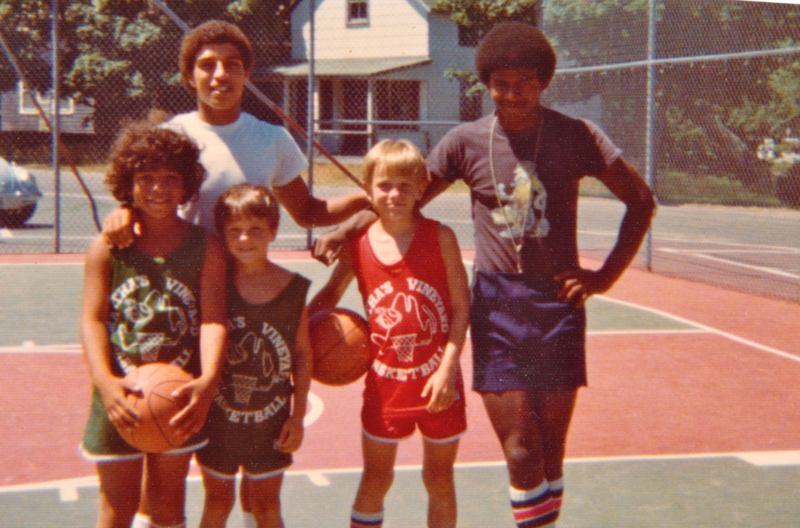 But Bijan Bayne’s new book Martha’s Vineyard Basketball: How a Resort League Defied the Notions of Race and Class puts it on the map. Basketball started on the Vineyard not long after James Naismith vacationed there, mere months before he invented the sport in Springfield in 1891. Long known as a summer refuge for the wealthy, the Oak Bluffs summer basketball league didn’t begin until a year after the notorious Chappaquiddick incident when Senator Edward Kennedy drove his car off the Dike Bridge. Bigwigs like President Obama, Dr. J and Ray Allen have all played at Niantic Park, but local legends like coach Jay Schofield and Johnny Rogers made it the heartbeat of the island. Jaws was shot on the island in 1974, and most of the minor roles were played by locals like Chris Rebello, a summer leaguer cast as Chief Brody’s older son.